While troubleshooting disk space issue, it is essential to know about the database file size statistics. You can execute below script to get database file size information. This entry was posted in Database, DB Articles, SQL Scripts, SQL Server, SQL Server 2008, SQL Server 2008 R2, SQL Server 2011 (Denali) and tagged File Statistics, T-SQL Script, Troubleshooting disk space issue on May 26, 2013 by Jugal Shah. sys.dm_os_ring_buffers: You can use the undocumented Ring Buffer DMV to troubleshoot the below issues. Execute the below query to get the distinct ring buffer type. Check below script as example to troubleshoot the Security Issue using ring buffer. You can change the ring buffer type in below script to troubleshoot the different issues. Check the above decimal error codes using the NET HELPMSG command, which will give you more information on the issue. This entry was posted in SQL Scripts, SQL Server, SQL Server 2008, SQL Server 2008 R2 and tagged Ring Buffer, Security Issue, SQL Tips and Tricks, T-SQL Script on November 25, 2012 by Jugal Shah. I have a requirement to add the Log Shipping Monitor for an existing installation. I have heard you can only complete this by rebuilding the Log Shipping infrastructure. Is that true? Are there any other options? In this tip I will explain how we can add the Log Shipping monitor to a SQL Server 2005, 2008, 2008 R2 or 2012 environment without rebuilding the Log Shipping installation. This entry was posted in DB Articles, SQL Server, SQL Server 2008, SQL Server 2008 R2, SQL Server 2011 (Denali) and tagged Log-Shipping, Monitor, SQL Tips and Tricks, T-SQL Script on November 16, 2012 by Jugal Shah. You can use the below script to identify the data, log and backup file drive. This entry was posted in DB Articles, OS and SQL, SQL Scripts, SQL Server, SQL Server 2008, SQL Server 2008 R2 and tagged Backup Drive, Data Drive, Log Drive, SQL Script, T-SQL Script on October 5, 2012 by Jugal Shah. 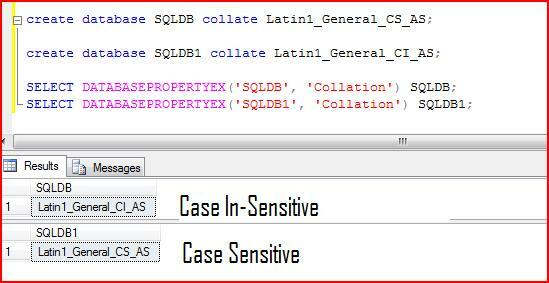 One of my blog reader has asked how to create the database with different collation. You can create the database with different collation using below script. This entry was posted in Database, SQL Server, SQL Server 2008, SQL Server 2008 R2, SQL Server 2011 (Denali) and tagged Collation, http://sqldbguru.blogspot.com/, Jugal Shah, SQLDBPool.com, T-SQL Script on March 4, 2012 by Jugal Shah. Recently I got a requirement to drop all SQL Logins from the SQL Server. I have created below script to drop all SQL Login. SA login account and the few policy certificates also come in SQL Login type, I have excluded them. Next step is to execute the output of the above query. This entry was posted in Database, SQL Scripts, SQL Server, SQL Server 2008, SQL Server 2008 R2, SQL Server 2011 (Denali) and tagged Drop Login, SQL Login, SQL Server, SQLDBPool, T-SQL Script on March 2, 2012 by Jugal Shah.